Basseterre, St. Kitts-Primary School students in St. Kitts and Nevis could look forward to more physical activity being added to the school’s curriculum in the future. Minister of Education and Sports the Hon. Shawn Richards made the announcement while giving an address at last weekend’s Rams Primary School Championships. Mr. Richards said the government remains committed to developing all athletes in the Federation. “It was just last week, for example we had a meeting in my office where we were looking at expanding the physical education program in all of our primary schools,” he said. Though no specific timeline on when the program would be rolled out the Education and Sports intimated that it will be rolled out in the not long from now. “Very shortly you can expect physical education to be part of the curriculum in all of the primary schools as an attempt is being made to further develop your athletics skills,” he said. 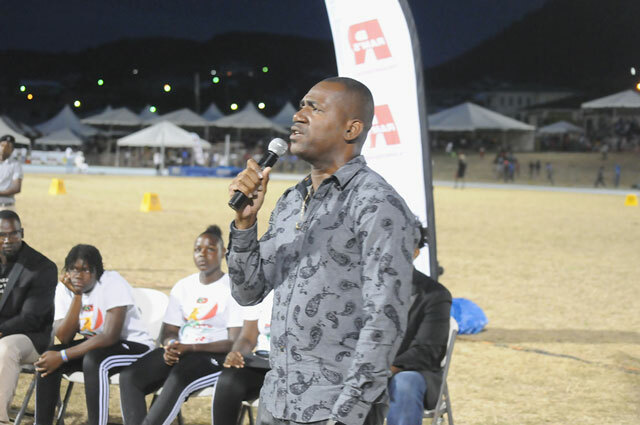 He thanked the St. Kitts and Nevis Amateur Athletic Association (SKNAAA) for their continued efforts to identify and develop young athletes in St. Kitts and Nevis. “The role of the SKNAAA is one that is appreciated by the Government and the Department of Sports,” he added. High schools in the federation already boast a physical education programme established by the Caribbean Examination Council (CXC) and some primary schools already boast a physical education programme but it is not uniform under the umbrella of the Ministry of Education. Studies have shown that Physical education is critical for students to develop the skills and competencies needed to live healthy and physically active lives at school and for the rest of their life. The skills learnt in physical education can improve students’ performance, sharpen their knowledge of strategy and tactics, and help them to transfer knowledge from one context to another.